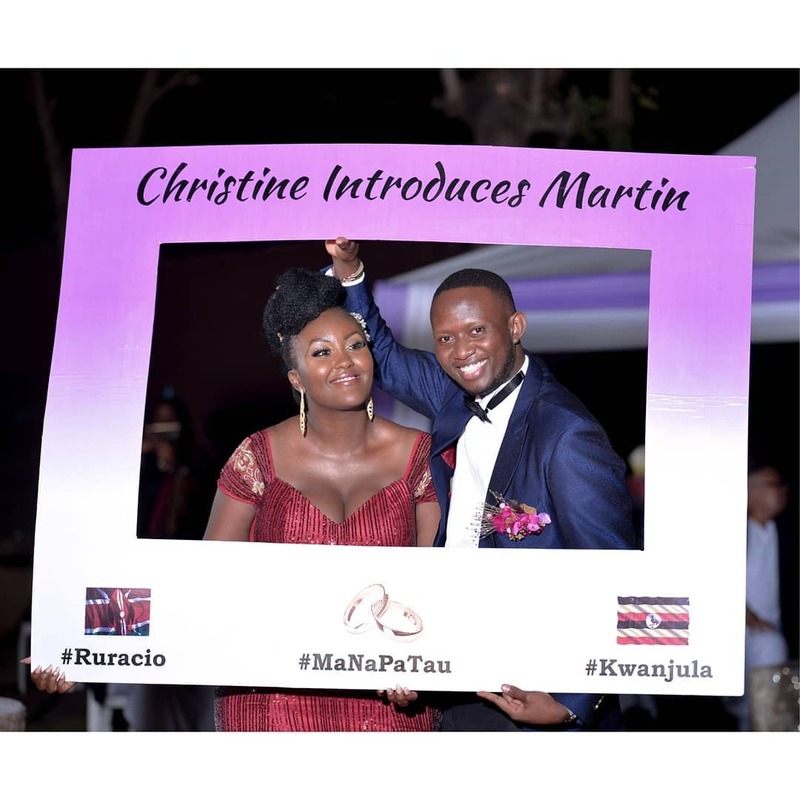 Kenyan actor Martin Githinji married his Ugandan sweetheart Christine Kokueendera Lwanga in a traditional ceremony last week. For starters, Martin Githinji together with Catherine Kamau are the lead actors on TV drama series ‘Sue And Jonnie’ which airs on Maisha Magic East. Githinji is the latest celebrity to marry a foreign woman (Sauti Sol’s Polycarp Otieno recently married a Burundian woman) and Cyprian Nyakundi thinks Kenyan women are driving men to marry exotic women. 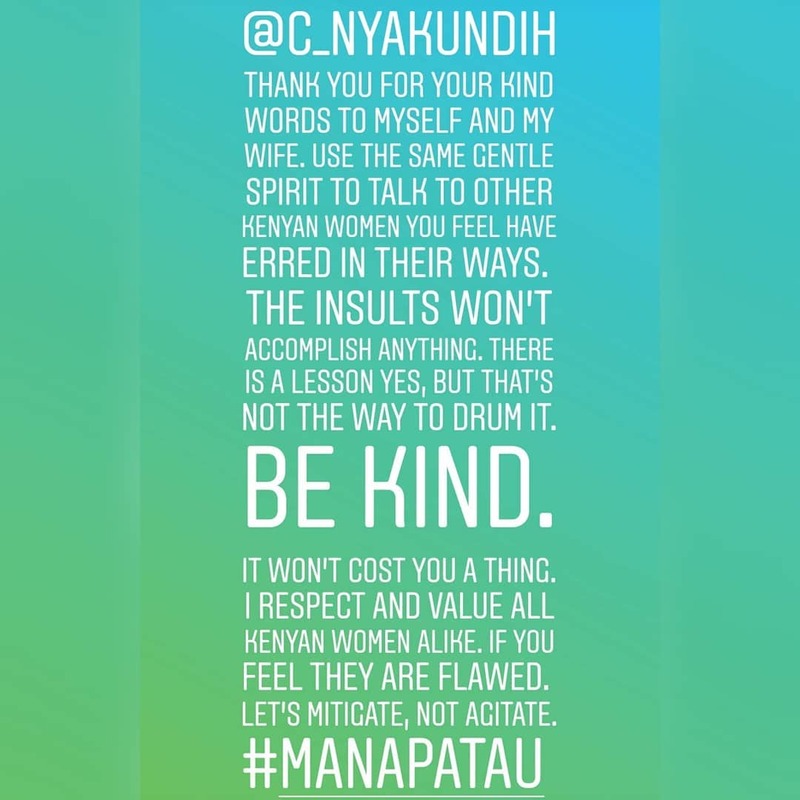 Nyakundi took to social media to attack Kenyan women after Githinji married his Ugandan sweetheart. He said Kenyan women’s sponsor mentality is the reason why Kenyan men prefer to get wives from outside the country. 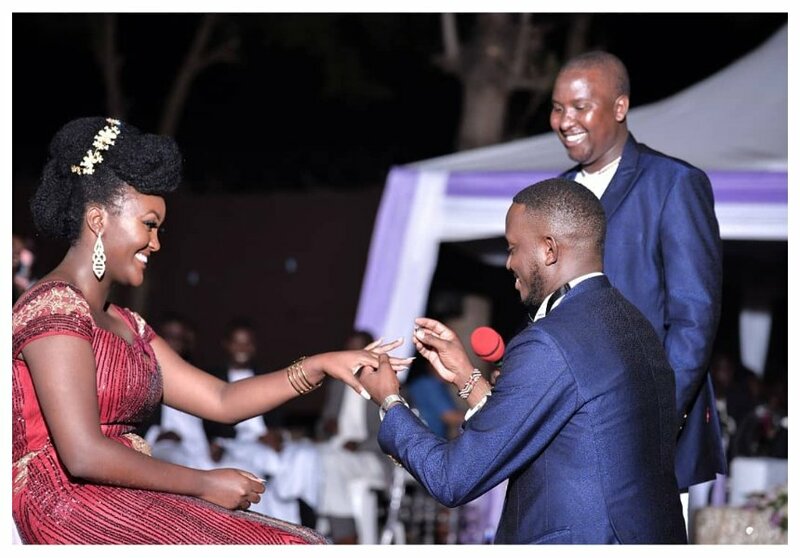 “After Polycarp of Sauti Sol married his Burundian sweet-heart, now Martin Githinji, a popular actor/presenter has married his girlfriend Ugandan Koku Lwanga. Once again kama madame wa huku mtaani wanafikiria tutakaa hapa tukingoja mumalize upoko ya kubomolewa na ma-Sponsor, mtashangaa nyinyi ma-Umbwa! Ati mpigwe miti na ma-Sponyo, mzae watoi mtuletee? Kumanina! Pelekeeni wazazi wenu hao watoi. Hao ndio wamemfundisha tabia zenu mbaya za upoko. Halafu wamuoe pia. Ghasia! Upoko tu ndo zenu. Mumetuchokesha yetu yote,” wrote Nyakundi. Martin Githinji replied after Nyakundi used his case as reference to explain why Kenya men are gong after foreign woman. He urged Nyakundi to exercise restraint and stop using insults. “Thank you for your kind words to myself and my wife. Use the same gentle spirit to talk to other Kenyan women you feel have erred in their ways. The insults won’t accomplish anything. There is a lesson yes but that’s not the way to drum it. BE KIND. It won’t cost you a thing. I respect and value all Kenyan women alike. If you feel they are flawed. Let’s mitigate, not agitate,” wrote Martin.